No question here that it's a Work versus Life trade-off. If this is your mental view of balance too, it's hard not to feel that going back to work will inevitably conflict with your family and personal life. In fact, as we've discussed before in this blog, work can be re-integrated into your life in a positive way, improving your life and family satisfaction. With this in mind, I'd like to suggest an alternative image. 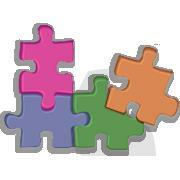 Think about your life as a jigsaw puzzle that you are in control of creating. The puzzle pieces are the different elements of your life: friends, parents, children, partner, community, hobbies, exercise, religion, voluntary work etc. It's up to you to select the pieces you most want to include at this stage of your life. To incorporate a new piece - 'paid work' - you need to consider how large a piece of the jigsaw you would like this to be right now. Which other pieces are you going to put aside or shrink in size, to make space to slot the work piece in? Bear in mind an image of choosing and fitting together the pieces in a way that works for you - and be flexible to adjust the shape and form as your circumstances change. I really like the jigsaw image, as it reflects the way I integrate work within my life. If you can suggest any other alternative images to replace the scales/seesaw, do let us know! 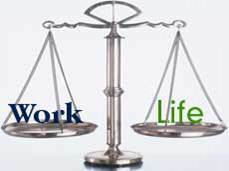 We all need work life balance in order to maintain a stress free life. Due to busy schedule we are suffering from spending quality time with our family and friends; it is necessary to spend quality of time with friends and families and therefore we need suitable balance in between our work and life. 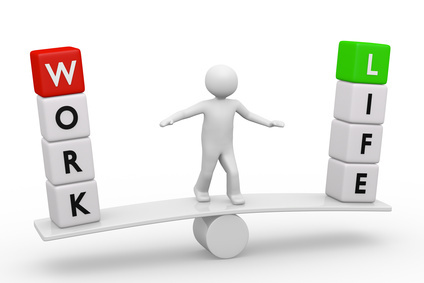 Here in this article we can get some suitable work balance tips and while maintaining these we are able to life a stress free life.